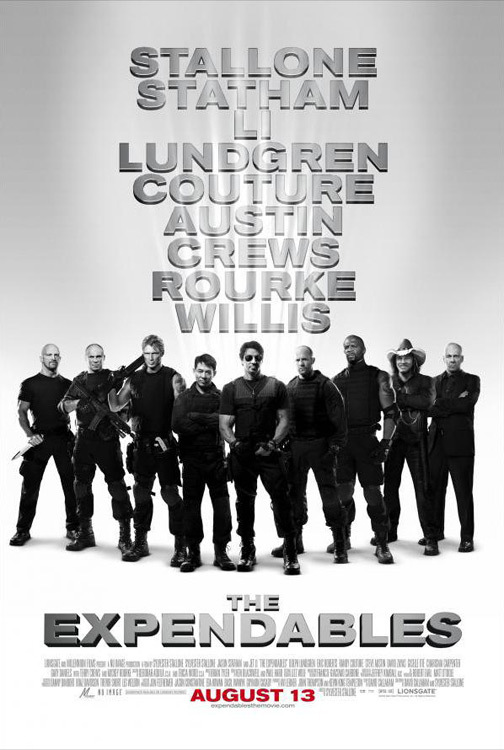 Win passes to see "The Expendables!" Want to see the most anticipated testosterone-filled movie of the year? This time, The Reel Place is bringing you a different sort of contest – no trivia. All you have to do is leave a comment below with a list of your Top Five Action Movies and after each title write the reason why that one made your list. The top five submissions with the best reasons will each receive a complimentary pass for two, good at any Salt Lake City Cinemark theater. (PASSES VAILID BEGINNING MONDAY, August 16, 2010 THROUGH THE RUN OF THE ENGAGEMENT. MONDAY THROUGH THURSDAY ONLY – EXCLUDING HOLIDAYS). Good luck! Special thanks to Lionsgate and Millennium Films.